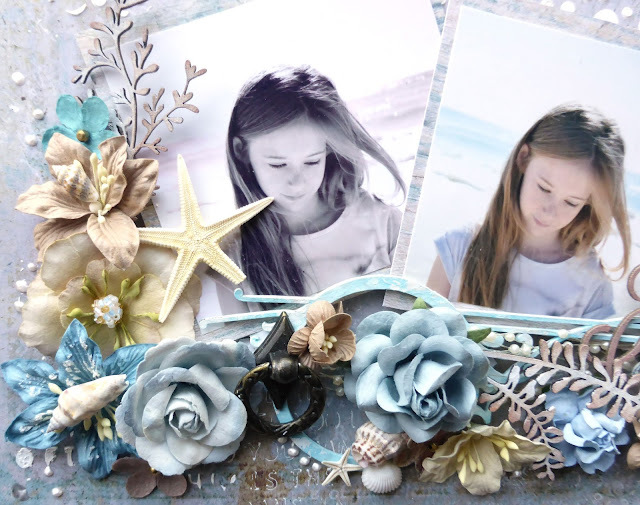 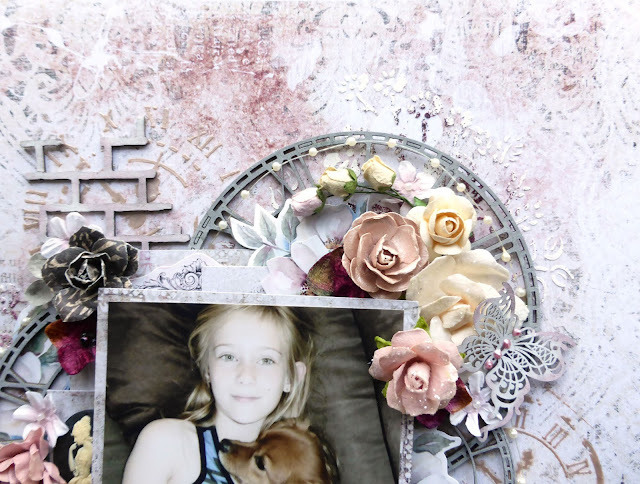 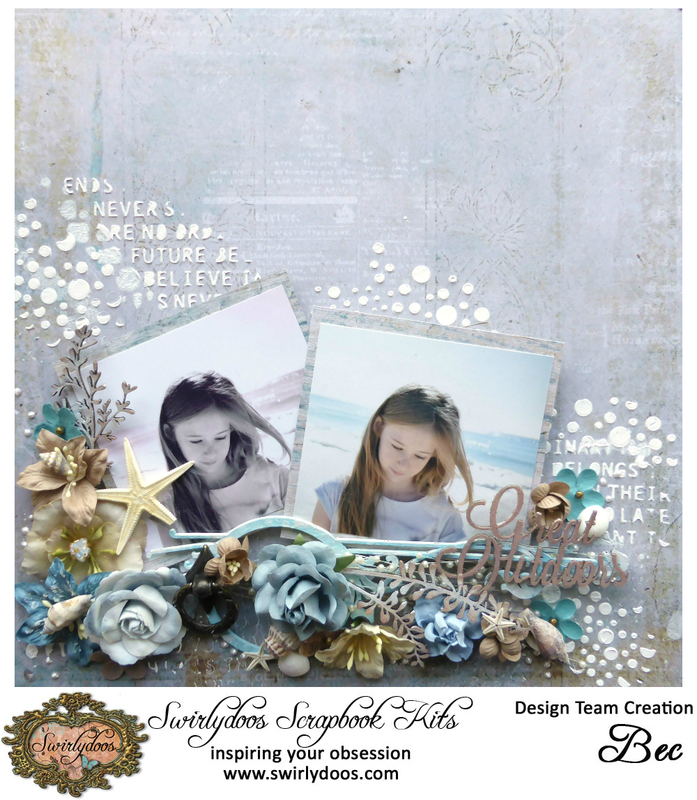 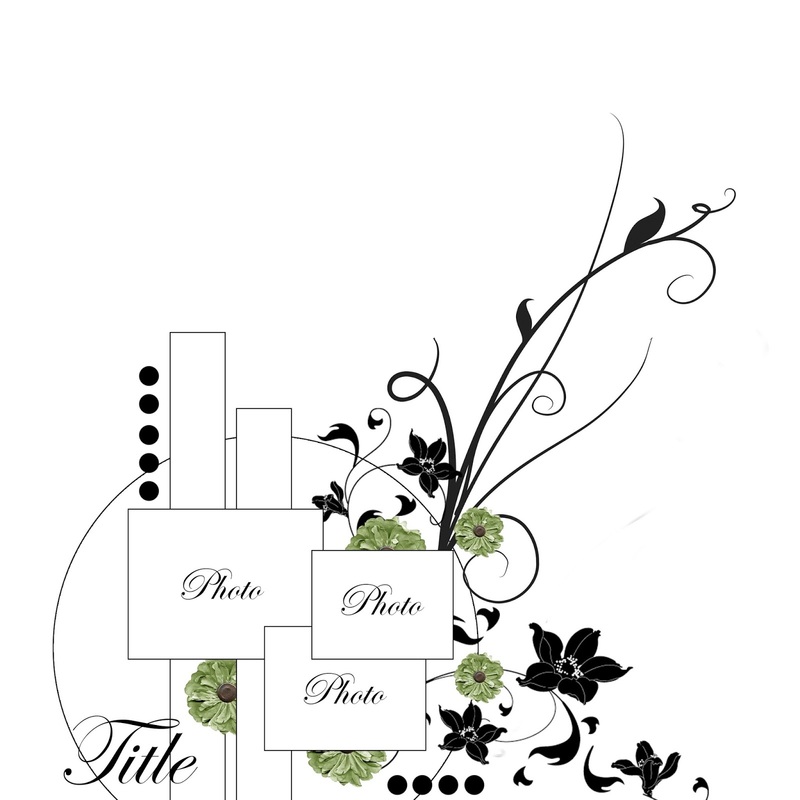 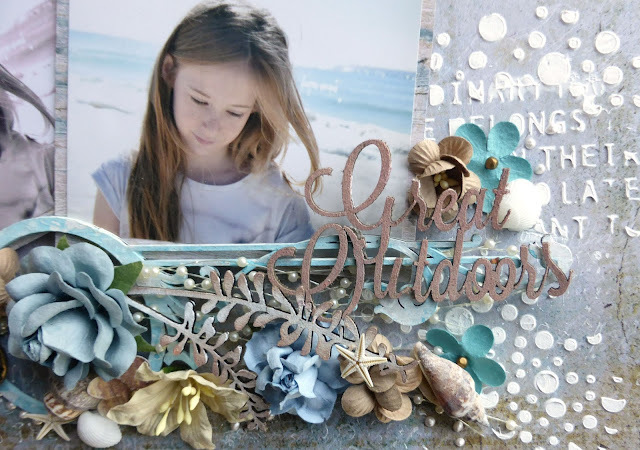 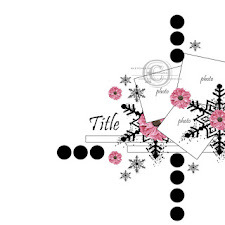 Hi everyone, today I am sharing what I made with the latest Swirlydoos Scrapbook Kit - Tranqility. 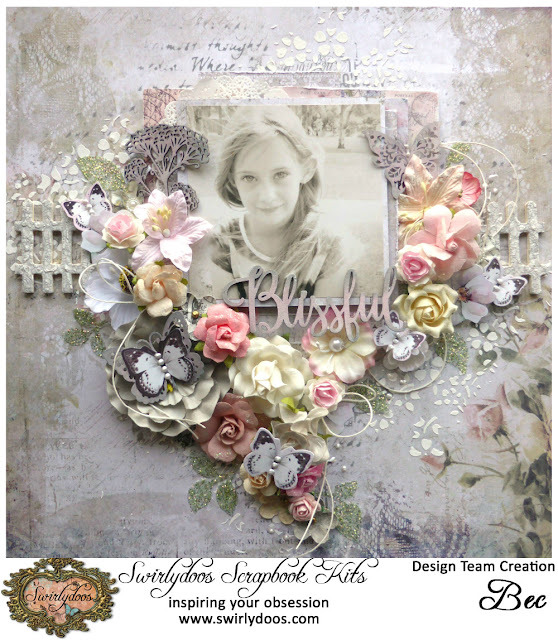 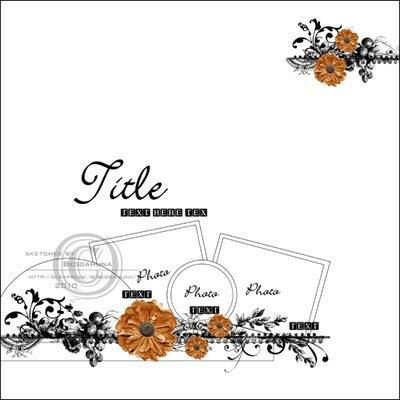 I used the Swirlydoos August Main kit, the August Flower add on and the August Embellishment add on. I based this layout on the gorgeous maroon flowers from the flower add on kit was well as the Blue Fern Magenta embossing powder from the embellishment add on kit. 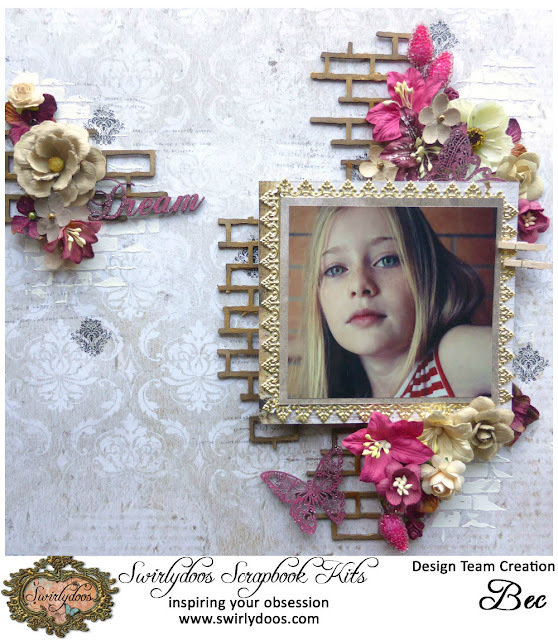 My background paper is Peaceful, I added some texture paste through a brick stencil and then the Kaisecraft rubons from the embellishment add on kit. 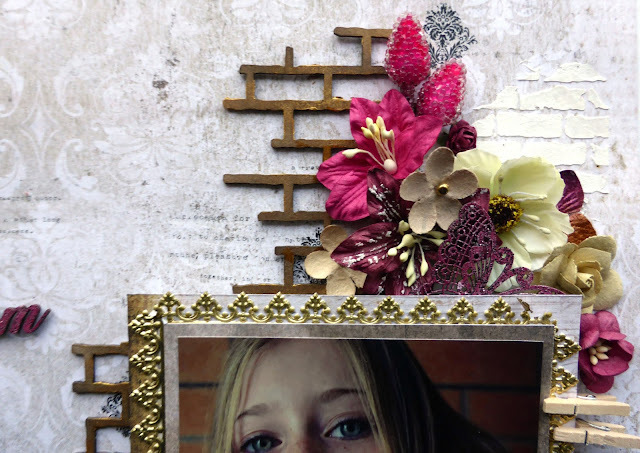 I took the Blue Fern brick chipboard pieces from the embellishment add on and coloured then with brown ink, then I rubbed on some Inka gold so they matched with the gorgeous Prima gold trim which I placed around my photo. 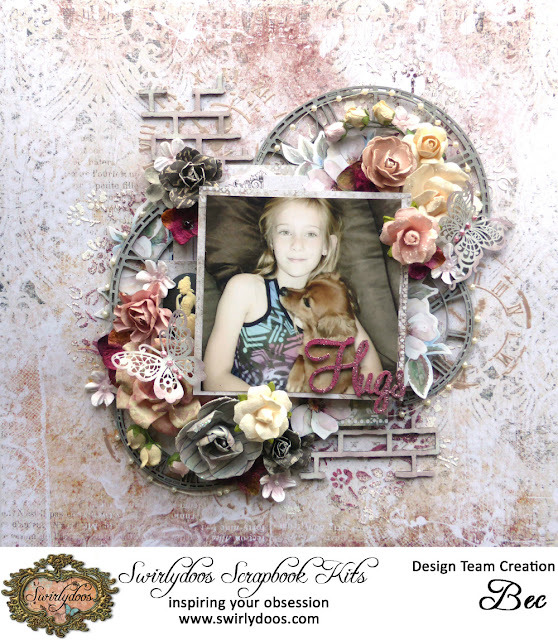 I used the Magenta embossing powder on the Bo Bunny butterfly chipboard. For this layout I used the Blue Fern Tranquility papers Hushed and Serenity. 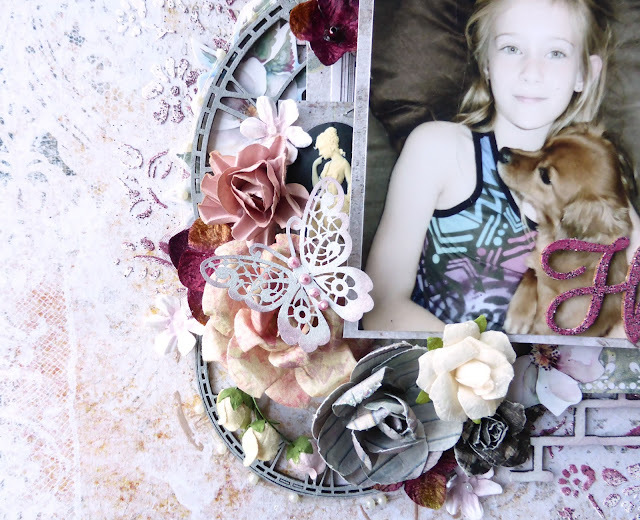 On my background I used texture paste through a floral stencil then I sprinkled on a little Blue Fern Magenta embossing powder for colour. 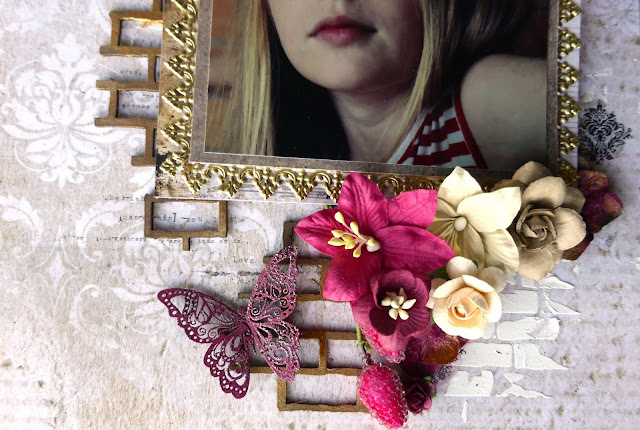 I used the Blue Fern Brick chipboard and the Bo Bunny Butterfly chipboard which I covered in white gesso then inked the edges with pink ink. 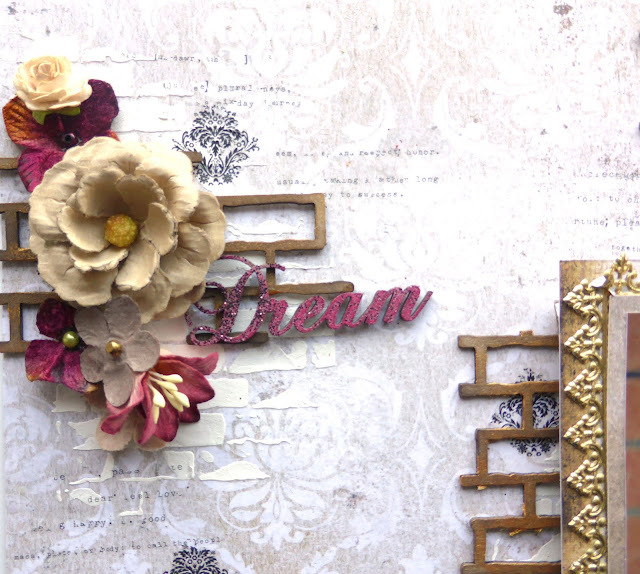 I paired these with a clock chipboard piece from my stash. I tucked the Magonila Lane diecuts in amongst my flowers as well as the cameo from the main kit and Petaloo flowers from the flower add on kit.